Peacefully, at the Good Samaritan Seniors Complex, Alliston on Sunday, April 7, 2019 in her 96th year. Ruth, born in Badjeros, Ontario, on October 3, 1923 to the late Mabel Ann (nee Bellamy) and William Herbert French. Beloved mother of Sharon, Joy, Ronald (Penny), Richard, and the late Robert. Grandmother of 6 and Great Grandmother of 7. Dear sister of the late May Carson. Ruth was a lifetime member of the Owen Sound First United Church, Order of the Eastern Star, and the Owen Sound Royal Canadian Legion. 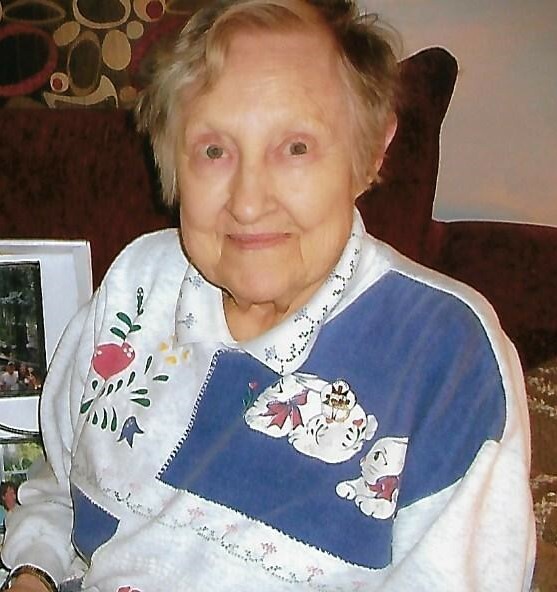 Friends will be received on Thursday, April 11, 2019 from 1:00pm until the time of the funeral service at 2:00pm at Breckenridge-Ashcroft Funeral Home, 241 9th Street West, Owen Sound, 519-376-2326. Memorial donations to the Good Samaritan Seniors Complex or the Alzheimer Society would be appreciated by the family.